Comes standard with 1 antique brass Large Scroll Pull. 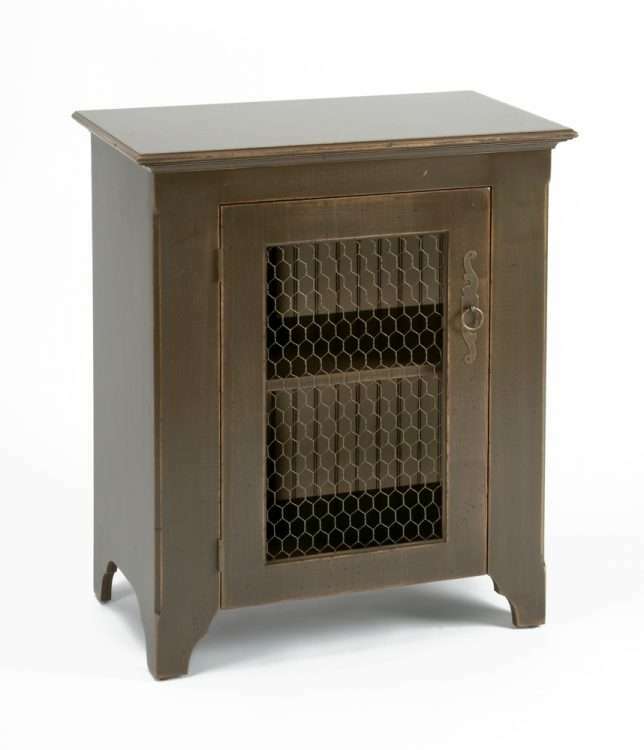 This unit features an antique brass chicken wire door panel, beadboard interior back, and 1 adjustable shelf. Due to the wide face frame, there is no room to add additional adjustable shelves to this unit. Ships in 1 corrugated carton (62 lbs) on 1 wooden pallet (50 lbs).